Hortus Camdenensis | Abies balsamea (L.) Mill. Introduced to Britain in 1696. [JD]. Leaves, cones and seeds are illustrated in Die Coniferen. 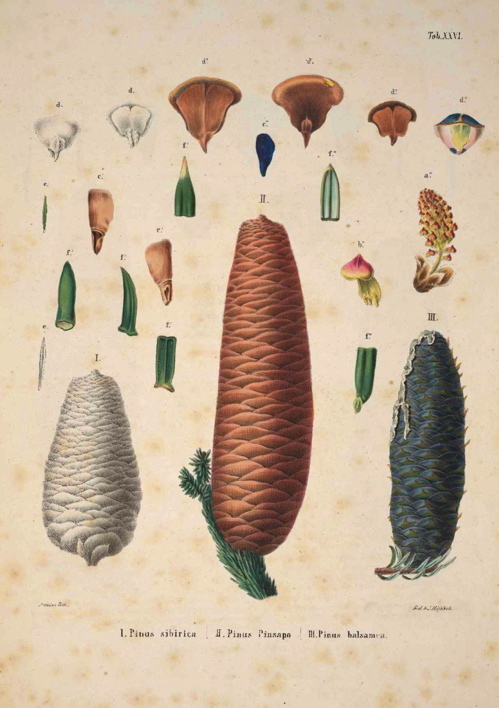 [Die Coniferen t.XXVI/1840-41]. Listed in the 1845, 1850 and 1857 catalogues [C.1/1845]. Abies balsamea (L.) Mill. | Die Coniferen t.XXVI/1840-41 | BHL. Abies balsamea is fig. iii on the right.